Ph.D. (Finance and Real Estate), UC Berkeley, 2007. M.S. (Business Administration), UC Berkeley, 2005. M.S. (Real Estate), M.I.T., 1999. B.Eng.. (Urban Engineering), University of Tokyo, 1992. Research Fellow, Institute of Real Estate Finance and Management (IREFIM), Madrid, Spain. (2018 - Present). Research Associate, Columbia Business School. (2016 - Present). Senior Fellow, Policy Research Institute, Ministry of Finance of Japan. (2011 - Present). 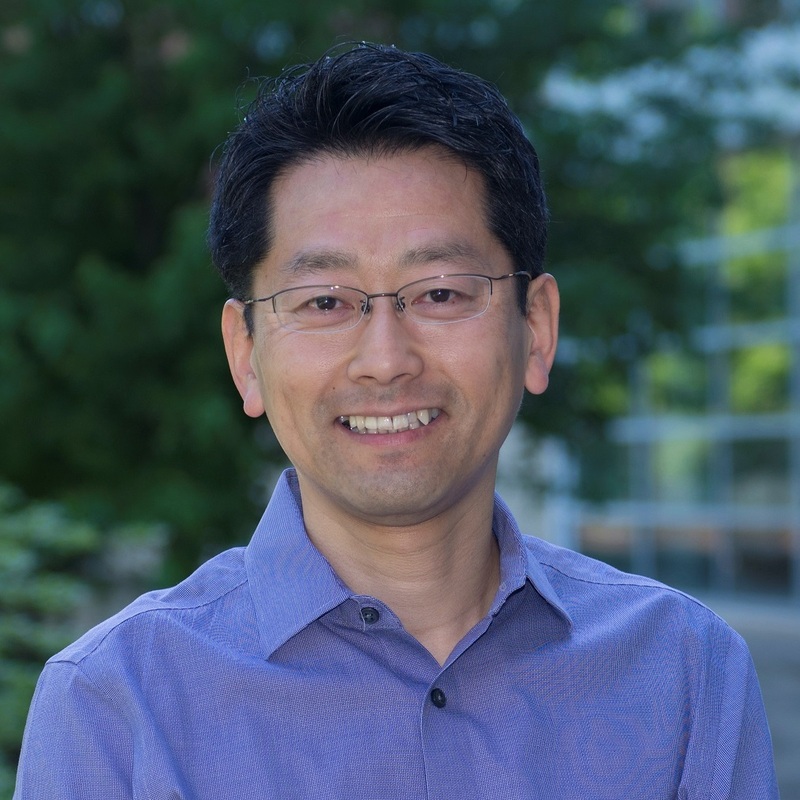 Research Fellow, Housing Research and Advancement Foundation of Japan. (2009 - Present). Fellow, Institute for Real Estate Studies, Pennsylvania State University. (2009 - Present). 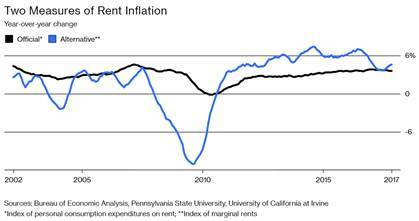 "Housing Rents and Inflation Rates." (with Ambrose, B. W., & Coulson, N. E., 2018). Abstract: This paper demonstrates that inflation rates are significantly modified when they are based on the alternative quality-adjusted measure of housing rents that is based on a monthly statistic of landlord net rental income. The official rate was overestimated by 1.7% to 4.2% annually during the Great Recession but underestimated by 0.3% to 0.9% annually during the current expansionary period. We further demonstrate significant impacts of the modified inflation rates on Social Security and real gross domestic product. These impacts persist for a long term because the modified indexes are integrated of order one whereas the official indexes are trend stationary. "How Rents and Expenditures Depreciate: A Case of Tokyo Office Properties " (with K. Kawai, D. Geltner, and C. Shimizu, 2017). Abstract: This is the first comprehensive study on the age profile of newly contracted rents, rents for sitting tenants, the average rents, operating expenses, net operating income, capital expenditures, and net cash flows for office properties. We use the proprietary data of a major property management firm about Tokyo office market and find: (1) The average annual rent depreciation rate (i.e., the aging effect) is 0.8% for new leases, 0.4% for leases by sitting tenants, and 0.5% on average; (2) the rent function is more convex in age than the logarithmic function; (3) Smaller buildings tend to experience larger rent depreciation; (4) A tenant that occupies a larger proportion of building experiences larger rent depreciation; (5) Operating expenses depreciate annually at 0.6%; (6) Net operating income (NOI) depreciates annually at 0.4%; (7) Capital expenditures generally increase over time; and (8) Net cash flows (NCF) depreciates at 0.6% per year. The level of the depreciation rate is much smaller for rents and cash flows than for property values. This study is the first step toward understanding the link among the rent depreciation, the economic life of buildings, and the property depreciation. "Structure Depreciation and the Production of Real Estate Services." (2016) . Abstract: This study simultaneously analyzes the real estate production function and economic depreciation of structures by using data from Japan and the U.S. The estimated share of structure value is used to infer returns to scale, the land-structure substitution, and the structure depreciation rate. Real estate exhibits approximately constant returns in Japan, but decreasing returns in the U.S. Land and structures are gross substitutes in both countries. The land value ratio is 10% in Centre County, PA, but 60%-70% in Japan, reflecting the scarcity of land. The property depreciation rate is larger for newer and denser properties located further away from the downtown area in a smaller city. The structure depreciation rate corrected for a survivorship bias significantly varies by property type and country: approximately 7% for residential properties and 10% for commercial properties in Japan in contrast with 1% for residential structures in the U.S. These results serve as important inputs for macro, financial, urban, and real estate economic models. "Stock Prices, Regional Housing Prices, and Aggregate Technology Shocks." (2015) Under review. Abstract: The correlation between stock and housing prices, which is critical for household asset allocations, varies widely by metropolitan area and country. A general equilibrium model demonstrates that an aggregate positive technology shock increases stock prices and housing demand but can decrease housing prices where land supply is elastic because stable future rents are discounted at higher interest rates. Using panel data of U.S. metropolitan areas and OECD countries, I find that the housing price response to TFP shocks as well as the stock-housing correlation are smaller and even negative where the housing supply is elastic. I also find that household equity investment is positively related to housing supply elasticity. "Why Do Team Projects Progress Slowly? A Model Based on Strategic Uncertainty." (2015) Under review. Abstract: This paper analyzes the investment timing for team projects. Under demand uncertainty, it is valuable to maintain flexibility in future investment alternatives. However, one party's flexibility creates strategic uncertainty for another party, which causes the other party to choose a higher level of flexibility. This strategic complementarity leads to delays in investments in contrast to the case of accelerated investments for preemption. This strategic effect is also distinct from the free-rider problem because this study focuses on the second moment of payoffs. The model also provides a rational alternative to the status-quo bias in organizational decision-making. “Estimating Consumption Substitution between Housing and Non-Housing Goods using Macro Data.” (with Davidoff, T., 2013). Abstract: The static elasticity of substitution (SES) between housing and non-housing consumption is important not only in understanding housing demand, but also in asset pricing because housing consumption influences the marginal utility of numeraire consumption. Previous estimates of the elasticity are low when micro data are used but high when macro data are used. We use aggregate time-series data to estimate SES by allowing for non-homotheticity in preferences. We obtain lower estimates of SES ranging from 0.4 to 0.9 when we allow for non-homotheticity than when we maintain homotheticity assumption. Homotheticity is rejected in the way that consumption share of housing decreases as income grows and as income is derived more from employment than from investments. We also obtain low IES ranging from 0.05 to 0.14. “Does the Law of One Price Hold in Heterogeneous Asset Markets? A Test Using the U.S. Commercial Real Estate Market.” (with Park, S., 2012). Abstract: The law of one price is a common assumption in finance. Even for heterogeneous assets, the law holds at the level of factor prices. However, the law is sometimes violated when markets are segmented as a result of limits of arbitrage. We examine market segmentations across investor types for commercial real estate. We propose an elaborate procedure to test price discrepancies by distinguishing three types of market segmentation. We find strong evidence against the law of one price. First, transaction prices for comparable assets sometimes differ by investor type. Second, even if the average prices are not different, marginal factor prices sometimes differ by investor type. Third, when different investors operate in different domains of investments, the implied factor price function sometimes exhibits discontinuity. In particular, we obtain evidence for REIT price premia over corporate users, developers, and individual investors. Individual investors consistently pay lower prices except for multifamily. Our paper serves as a guide to judging whether one should include investor characteristics in a hedonic regression model. Yoshida, J. (2008). Is Socially Responsible Investment Profitable? J-055 . CARF Working Paper, The University of Tokyo. “Reassessing Taylor Rules Using Improved Housing Rent Data.” (with Ambrose, B. W., & Coulson, N. E.). Journal of Macroeconomics 56, 243-257. Abstract: There is a debate whether the federal funds rate deviated from the Taylor rule. We present evidence that standard inflation measures do not reflect the contemporaneous state of housing rents, which is a large part of consumption. Using a new housing rent index (RRI) developed by Ambrose et al. (2015), we compute the RRI-based Taylor rule for the period from 2000 to 2010. The modified Taylor rule indicates that seemingly large deviations are better understood as delays due to the stale information regarding housing rents. It also provides a justification for Quantitative Easing and a better alternative to other versions of Taylor rules. “Energy Efficiency and Green Building Markets in Japan.” (with Junichiro Onishi and Chihiro Shimizu, 2017) in N. Edward Coulson, Cliff Lipscomb, and Yongsheng Wang (Eds. ), Energy Efficiency and the Future of Real Estate Palgrave Macmillan. ISBN: 978-1-137-57445-9. Abstract: This study presents a review of the extant studies on Japanese green buildings and a new empirical analysis of the relation between office rent, green building labels, and actual energy use. We provide evidence as to what causes the positive association between green building labels and office rents. We first show that sustainability related features of building are effective in reducing the actual consumption of electricity and water. After controlling for the effect of these observed sustainability features, we find that green labels have separate effects on the reduction of the consumption of electricity and water. Thus, various green features required by green building labels are effective in saving energy and water usage. However, green labels do not have a direct effect on office rents once we control for the effect of electricity and water usage. Thus, tenants pay a rent premium to green buildings not for a brand associated with green building labels but for material benefits of green buildings regarding lower costs of energy and water. "Credit Rationing, Income Exaggeration, and Adverse Selection in the Mortgage Market." (with Ambrose, B. W., & Conklin, J.). Journal of Finance, 71(6), 2637-2686. DOI #: 10.1111/jofi.12426. Abstract: We examine the role of borrower concerns about future credit availability in mitigating the effects of adverse selection and income misrepresentation in the mortgage market. We show that the majority of additional risk associated with ``low-doc'' mortgages originated prior to the Great Recession was due to adverse selection on the part of borrowers who could verify income, but chose not to. We provide novel evidence that these borrowers were more likely to inflate or exaggerate their income. Our analysis suggests that recent regulations changes that have essentially eliminated the low-doc loan product would result in credit rationing against self-employed borrowers. "Product Market Competition and Corporate Real Estate Investment under Demand Uncertainty." (with Ambrose, B. W., & Diop, M.). Real Estate Economics, http://dx.doi.org/10.1111/1540-6229.12150. Abstract: This paper theoretically and empirically analyzes the interactions among corporate real estate investment, product market competition, and firm risk. In our model, firms own strategic real estate or lease generic real estate. Our model predicts that strategic real estate ownership is positively correlated with industry concentration and negatively related to demand uncertainty. Also, firm risk is higher for firms with more strategic real estate operating in a more concentrated market. This prediction arises because smaller investments induce greater market competition, which effectively eliminates the right tail of the firm's profit distribution. We provide strong empirical support for our predictions. In particular, firm value is more volatile in less competitive markets for a given level of demand uncertainty. “The Repeat Rent Index.” (with Ambrose, B. W., & Coulson, N. E., 2015). Review of Economics and Statistics 97(5), 939-950 (second lead article). Abstract: We employ a weighted repeat rent estimator to construct quarterly indexes that expand the professions ability to make cross-sectional comparisons of housing markets. Our analysis shows that (a) there is considerable heterogeneity in the behavior of rents across cities over the 2000-2010 decade, but the number of cities and years for which nominal rents fell is substantial; (b) rents fell in many cities following the onset of the housing crisis in 2007; and (c) the repeat rent and Bureau of Labor Statistics indexes differ due to sampling and construction methods. "The Rent Term Premium for Cancellable Leases." (with Seko, M., Sumita, K., 2015). Journal of Real Estate Finance and Economics. DOI: 10.1007/s11146-015-9528-x. Abstract: This study analyzes the rent term premium for leases that can be cancelled by the lessee. We model the lessor’s trade-off between leasing costs and the cost of cancellation options based on the recognition that many leases are cancellable by lessees, and lease markets involve significant transaction costs. We demonstrate that, regardless of the expected future rents, the rent term structure is upward-sloping when there is no leasing cost but U-shaped when the lessor faces moderate leasing costs. Residential leases in Japan, which are all cancellable by tenants, exhibit the term structure that is consistent with our calibrated model. “The Effects of Multiple Green Factors on Condominium Prices.” (with Sugiura, A., 2015) Journal of Real Estate Finance and Economics, 50(3), 412-437. Abstract: This paper analyzes the transaction prices of green buildings assessed on the basis of multiple green factors. Our theoretical model demonstrates that the initial green premium can be negative but becomes positive as the building ages if a green building has a higher life-cycle cost and a longer economic life. Our empirical analysis of green condominiums in Tokyo confirms this prediction. We additionally find that the longer-life design is associated with a price premium, but the use of renewable energy and recycled materials and water is associated with price discounts. The price discounts are interpreted as the capitalization of a greater life-cycle user cost. “Architecture: A Missing Piece in Real-estate Studies of Sustainable Houses.” (with Shahrzad F. and L. Iuloa., 2015) Procedia Engineering, 118, 813-818. Abstract: In the era of ecological and economic crisis, while the trend has drastically changed, most single-family houses in the United States are still built in a conventional way. The problem has roots in the fact that ecologically sustainable buildings are often initially more costly compared to ordinary ones. In a number of studies, lower life-cycle cost and longer economic life of sustainable buildings have been considered as a beneficial effect on the cost, having a positive impact in the real estate market of green residential properties. On the other hand, there has been research discussing the impact of architecture and architectural decisions on real estate and marketing of the buildings. Yet a lack of research investigating the importance of architecture in the marketplace of green buildings especially homes is evident. This study presents current literature and an analysis of the building appraisal process in different locations and mainly in the United States with special attention to the residential sector. The theoretical conclusion finds that architectural decisions can have a positive impact on the price of sustainable homes. This paper finally suggests direction for future research to be conducted in the interest of empirically proving this finding. “On Demand: Cross-country Evidence from Commercial Real Estate Asset Markets.” (with Ott, S., Riddiough, T. J., Yi, H., 2008) International Real Estate Review, 11(1), 1-37. Using over 25 years of quarterly U.S. and Japanese time series data, this paper examines the determinants of demand for an important class of real assets: commercial real estate. We specify a structural model of market equilibrium that considers direct effects of real investment on built asset price. Our empirical findings are consistent across countries and produce several new results. First, we find that real investment exerts a significant positive direct effect on asset price, which in tum feeds back to impact investment decisions. Second, idiosyncratic risk is found to be strongly positively related to asset price, and to complement supply effects. Third, systematic risk is priced as expected, where the strength of the relation between asset price and systematic risk is found to be higher than in previous studies of capital asset prices. Fourth, lagged values of price determinants (of up to two years) are consistently important in real asset demand estimation. A1temative explanations for our findings are analyzed and discussed. 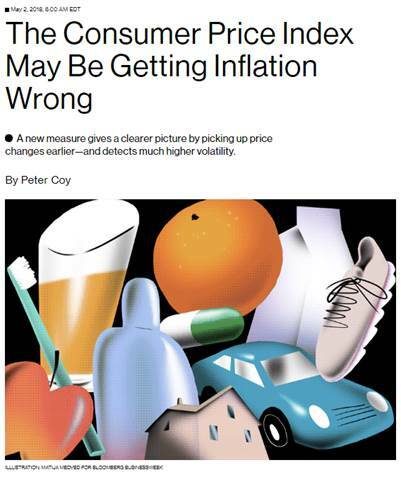 Implications for asset pricing model specification and interpretation are also considered. 環境配慮型建築物が不動産価格に 与える影響（清水千弘との共著, 2012) 季刊住宅土地経済 83: 18-29. 不確実性に対応した大規模プロジェクトの段階整備計画手法に関する研究 （高橋宏直と山本幸司との共著, 2005）建設マネジメント研究論文集 12: 19-26. 社会資本の段階整備計画へのリアル・オプション適用に関する研究（高橋宏直と山本幸司との共著, 2005). 運輸政策研究 8(30): 23-30. Real Estate Investment Strategy (MBA/EWMBA284), Haas School of Business, UC Berkeley, Spring 2015. Real Estate Finance and Securitization (MBA/EWMBA283), Haas School of Business, UC Berkeley, Fall 2014. Real Estate Financial Analysis (MBA REST560), Penn State Smeal College of Business, Fall 2009-2013, 2015. Real Estate Financial Analysis (Undergraduate FIN/REST460), Penn State Smeal College of Business, Fall 2009-2013, 2015. Theory of Corporate Finance and Securitization (Graduate, 15 weeks), Graduate School of Economics, University of Tokyo. 2009/04-07. Principles of Real Estate Securitization (Graduate, 15 weeks), Graduate School of Public Policy, University of Tokyo. 2009/04-07. Equilibrium Asset Pricing (12 weeks), Mizuho Securities, Japan. 2008/03-09. Real Estate Finance and Economics (Graduate, 15 weeks), Graduate School of Economics, University of Tokyo. 2008/04-07. Real Estate Finance and Economics, Teaching assistant to Thomas Davidoff, Berkeley-Columbia Executive MBA and Berkeley Full-Time MBA. 2003/08-2006/12. Real Estate Investment Strategy, Teaching assistant to Robert Edelstein, Berkeley Full-Time MBA. 2003/08-2006/12. Real Estate Finance (Undergraduate), Department of Urban Engineering, University of Tokyo. 2001- 2002/06. Postdoctoral Honoree, Weimer School of Advanced Studies in Real Estate and Land Economics, Homer Hoyt Institute. (January 2017 - Present). Gene Autry Award, Athletic Department, Weimer School of Advanced Studies in Real Estate and Land Economics, Homer Hoyt Institute. (January 2017 - Present). Senior Fellow, Policy Research Institute, Ministry of Finance of Japan. (August 2011 - Present). Fellow, Institute for Real Estate Studies, Penn State University. (August 2009 - Present). Research Fellow, Housing Research and Advancement Foundation of Japan. (February 2009 - Present). Member, Expert Committee on Real Estate Vision, Japanese National Land Council (Advisory Committee to Minister of Land, Infrastructure, Transport and Tourism). (2009 - December 2015). Club 6 Teaching Award, MBA283 Real Estate Finance and Securitization, Haas School of Business, UC Berkeley. (December 2014). Highest Teaching Evaluation among 2012 Fall MBA courses, REST560 Real Estate Financial Analysis, Smeal College of Business, Penn State University. (December 2012). Fellow, Policy Research Institute, Ministry of Finance of Japan. (August 2009 - July 2011). Research Fellow, Trust Companies Association of Japan. (March 2009 - March 2010). Research Fellow, Land Institute of Japan. (February 2008 - March 2009). Selected Paper Award, 13th Annual Conference, Asian Real Estate Society. (2008). First place, 2007 Dissertation Award, American Real Estate and Urban Economics Association. (2007). Research Fellow, Fisher Center for Real Estate and Urban Economics, UC Berkeley. (August 2003 - May 2007). Invited to 5th Annual Trans-Atlantic Doctoral Conference, London Business School. (2005). Best performer in finance Ph.D. qualifying examination, UC Berkeley. (2004). Fulbright all-expense grant, Institute of International Education. (2002 - 2004). Advisory Group Member, Industrial Finance Subcommittee, Japanese National Council on Industrial Structure (Advisory Committee to Minister of Economy, Trade and Industry). (2002). Invited to Young Thinkers' Seminar, “US-Japan Economic Relations in an Uncertain Environment", American Embassy and Tokyo American Club. (2001). JDB Study Abroad Merit Scholarship, JDB. (1998 - 1999). First Category Scholarship, Japan Student Services Organization. (1989 - 1992). Full exemption from tuitions, University of Tokyo. (1989 - 1992). Nomura Foundation Merit Scholarship, Nomura Foundation. (1986 - 1992). "Grant-in-Aid for Scientific Research (S)," Japan Society for the Promotion of Science, Foreign Governments and International Agencies. (2016 - 2017). "RERI 2016 Grant," Real Estate Research Institute. (2016 - 2017). "Smeal Sustainability Research Grant," (with Iulo, L.D., Lindenthal, T., Rahimi, S., and Fadaei, S.) Smeal College of Business. (2016 - 2017). "Faculty Research Grant," Institute for Real Estate Studies, Universities and Colleges. (2015). "Development of Commercial Real Estate Price Index," Center for Advanced Research in Finance, University of Tokyo, Universities and Colleges. (2014 - 2015). "Global Centers of Excellence Program, "Raising Market Quality-Integrated Design of "Market Infrastructure (Panel Group)"," Japan Society for the Promotion of Science, Foreign Governments and International Agencies. (2010 - 2014). "Faculty Summer Research Grant," Institute for Real Estate Studies, Universities and Colleges. (2013). "Summer Research Grant," Smeal College of Business, Universities and Colleges. (2010 - 2012). "Summer Research Grant," Institute for Real Estate Studies, Universities and Colleges. (2011). "New Faculty Research Grant," Smeal College, Universities and Colleges. (2010). 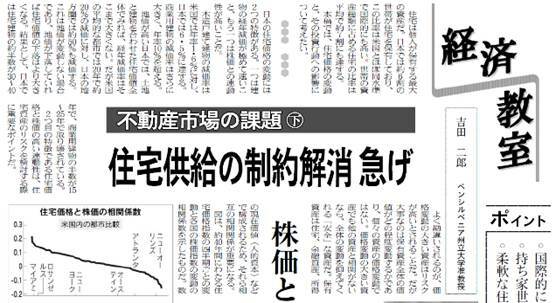 "Competitive Research Grant for the Use of Real Estate Information," , Ministry of Land, Infrastructure, Transport, and Tourism of Japan, Foreign Governments and International Agencies. (2009 - 2010). "Grant-in-Aid for Scientific Research," Japan Society for the Promotion of Science, Foreign Governments and International Agencies. (2008 - 2010). "Grant-in-Aid for Young Scientists," Japan Society for the Promotion of Science, Foreign Governments and International Agencies. (2008 - 2009). "Research Grant," Land Institute of Japan, Associations, Institutes, Societies and Voluntary Health Agencies. (2008 - 2009).